There’s also the company's pressure-sensitive MASH footswitch, which makes it possible to bend pitch-shifted notes similar to an expression pedal, a "Mix" knob for blending the wet and dry signal and TonePrint Editor integration, allowing the user to design custom intervals, reassign parameters and more via TC Electronic's TonePrint app. 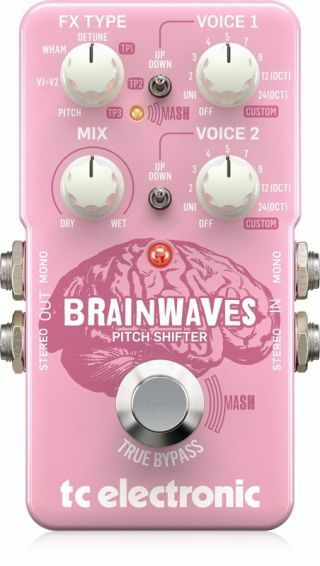 Other features of the Brainwaves include true bypass and buffered bypass modes and stereo and mono inputs and outputs. For more information, head over to TC Electronic.